These are some basic strategies you should find out about. Knowing the basics of Blackjack is a great place to start. It enables you to play the game and have fun. If you want to get better, you need to learn some strategies to improve your chances. Here are a few tips to improve your game and help you win against the dealer. The most important thing to know is that there are more cards worth 10 than any other number, 16 out of 52. That’s the 10’s and all the picture cards. 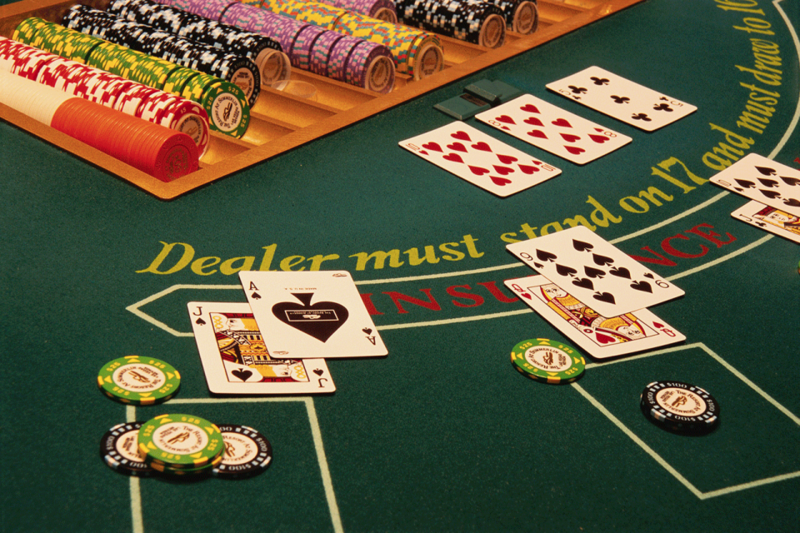 The basic strategy of any game is to assume that any second card could be a 10, that includes the dealer’s hand. If the dealer is showing a low card (2, 3, 4, 5 or 6) then you can play conservatively. The dealer has to get the minimum of 17 before he can stand, so if the 5 and 6 are showing up, then the hand has a high likelihood of busting. That means at that point you don’t have to play aggressively to win. If the dealer is showing a higher card (7, 8, 9, 10 or a picture card), you’re going to have to risk it. If the down card is a 10, chances are the dealer can stand if he wants, or achieve a high score. So assuming the down card is a 10 means they should score at least 17. You’re going to have to risk a bust to get a higher score than them if you are to win that hand. If your hand is 11, you can’t bust, so get another. If your hand is 17 or over and the dealer isn’t showing anything higher than a 7 you should stand. If your hand is between 12 and 16 and the dealer is showing a higher card, stand. The likelihood of the dealer busting is high. No strategy is going to let you win all the time, but these basic tips are enough to improve your game, and increase your chances of winning. Did you know the origins of the Blackjack game are largely unknown? Have a look at The History of Blackjack to find out a bit more. If you are a total Blackjack novice, have a look at this Blackjack Basics article we published last July. It gives you an insight in the very basic rules and aim of the game. To try out the strategies you’ve just learned here first hand, visit our Casino Table Games section to find out which different Blackjack games we offer, or go straight to Play Now to download our casino software and start playing within seconds.